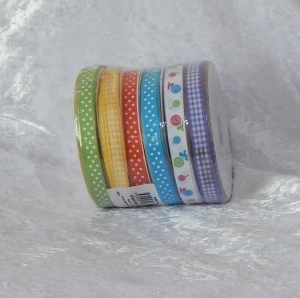 Grosgrain ribbon 6 pack. 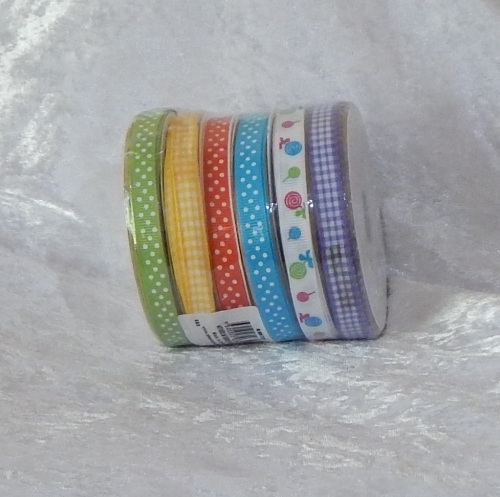 This ribbon can be used for sewing, scrapbooking, card making, jewellery making and lots more. Sizes are approx. 10mm. Each roll holds 1m of ribbon. 1 roll is not grosgrain.